Consider this a guide to the pair's best episodes. 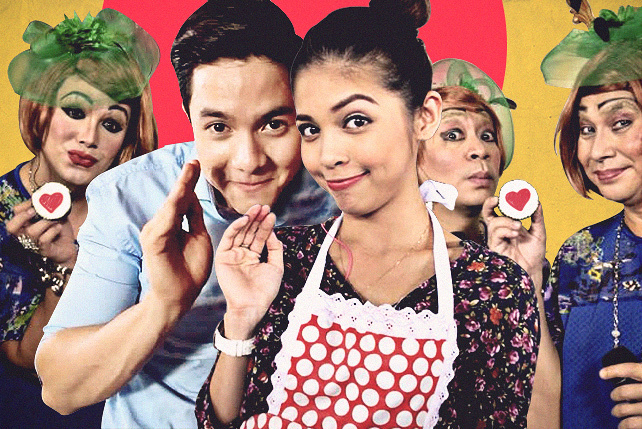 (SPOT.ph) Thinking of becoming a citizen of the AlDub Nation? We can help you with that. By the end of this article, we’ll have you naturalized and swearing allegiance to this ship...while doing a pabebe wave. After all, it’s more kilig in the AlDub Nation. And we’ve got the videos to prove it. Call it love at first sight. The first time Alden and Yaya Dub “met,” she dropped her surly demeanor and pabebe waved at him. Who could blame her? Have you seen the guy’s dimples?! #AlDub Day 39: Two points! Sure, Lola devised a number of other challenges for Alden: There was the time he had to fill a dunk tank with water using a single pail while Lola Nidora gleefully emptied it with her tabo, the time he was tasked to run from Broadway to Aurora Boulevard carrying a bundle of wood, and the time he had to bring home pinangat from his trip to Bicol. But this challenge was extra special because it ended with Alden in a wet, white, button-down shirt, looking like he just won the ultimate wet T-shirt contest. Come to think of it, we all win in this episode. So let’s say that again, this time more slowly—Alden. In. A. Wet. White. Button-down. Shirt. Kilig Level: God gave us you, Alden. After Alden and Maine’s performance for “Bulaga Pa More,” the two ran around Broadway to try to find each other. This took a while. Have patience because the look on their faces (Boy, that Alden sure knows how to sell this love story) when they finally meet in the flesh for the first time is worth all that time you spent watching them running all over the place. They walked toward each other slowly and right as they were about to touch, Lola Nidora dropped a plywood wall between them. Lola Nidora, how could you? Duhrizz’s kidnapping scheme backfired spectacularly when she brought the couple together in a basement parking area. This episode’s kilig game was strong. The couple was made to unwittingly bump into each other and drink from the same straw while blindfolded, but it was the look on Alden’s face when Duhrizz took off his and Yaya Dub’s blindfolds that was all the feels! A haunted house equals lots and lots of holding on to each other. And one tight hug! What? Haunted houses are scary. There was also a lot of wiping sweat off each other’s faces. Is this a thing now? This was also the episode where “the ring” made its first appearance. Kilig Level: Afraid pa more, kilig pa more! “Kayo ’di n’yo ako ino-orient ha!” a clearly disoriented Alden playfully admonished the Sunday Pinasaya crew, who pulled a prank on the Pambansang Dimples by having Maine play one of the callers on the DJ Bae segment. He was so taken off guard that he broke character and asked, “Maine, ikaw ba yan?” Si DJ Bae ka, uy! AlDub Day 91: 15th Weeksary! AlDub's First Weeksary Together <3 Kilig Pa More More More ngayong 15th Weeksary! When a riding-in-tandem pair (a recurring gag on the show) drove past Yaya and Lola Nidora and grabbed Lola’s secret diary, the two gave chase and cornered the thieves. There was a bit of a standoff before one of the riding-in-tandem goons took off his helmet, shades, and mask to reveal his true identity—turns out Alden decided to pay Yaya Dub a visit on their weeksary. Yaya Dub, who didn’t see this coming, became so self-conscious that the three lolas couldn't help but tease her. 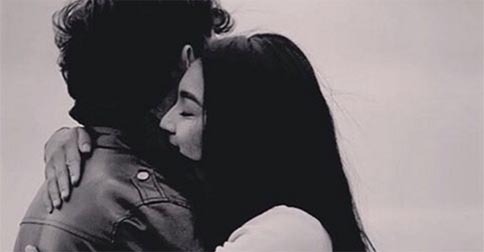 Actingan lang ’to, uy! Or is it? BTDubs, watch for the unacknowledged accidental beso. Thanks, Lola Tinidora! Introducing yourself to Yaya Dub’s RL family before the big date? Smooth, Alden, real smooth. In this ep, we witnessed the cutest Couple Matching Game ever. And although the wily Lola Nidora and her plywood wall weren’t present during the date, she made sure that her no-touch policy would still be followed by setting up the longest table for two that you’ll ever see in your life. Kilig Level: Wow! Fantastic, Baby! Proving that they could be trusted, Lola Nidora finally gave Alden permission to visit Yaya Dub at their mansion. The whole episode was a complete kilig festival. Even Lola Tidora and Tinidora couldn’t help but feel all the feels. Who knew Trip to Jerusalem could be make us feel all gooey on the inside? Or that choking could be so romantic? Also, the mansion had air-conditioning, so why were you so sweaty, Alden? Haluhluhluhluhluh! P.S. : Lola Tidora, your laglagan skills are legendary! Without you we wouldn’t have known that Maine addressed her for-your-eyes-only letter to Richard Faulkerson, Jr. (Alden’s RL name). Thank you! Kilig Level: Rogelio, Rogelio, Rogelio! Nasaan ang chewable na pamapakalma?